Dulsco, a leading environment solutions provider in the UAE, has broken ground on its new 500,000-sq-ft recycling facility coming up at Dubai Industrial Park, a designated district within Dubai Wholesale City. Designed as a green building, the complete integrated waste management facility will ensure the efficient use of energy, water and other resources, and prioritize the reduction of waste and harm to the environment, said the statement from Dulsco. Scheduled for completion in 2018, the Dh25 million ($7 million) integrated waste management unit has been designed to provide the waste management industry in Dubai and the wider UAE with environment friendly solutions utilizing cutting-edge technologies. In the first phase, a total area of 200,000 sq feet will be developed besides a state-of-the-art fleet maintenance workshop, as well as a recycling and materials recovery plant. The new plant will include a fully automated sorting line with a capacity of five ton per hour, said senior officials at the ground-breaking ceremony held in the presence of Saud Abu Al Shawareb, the chief operating officer, Dubai Industrial Park and representatives from Dulsco group. Al Shawareb said: "In line with Dubai Plan 2021 that supports the efficient utilization of energy resources, sustainable waste management is a non-negotiable priority if we are to maintain a high quality of life in our cities. The adoption of green solutions is therefore an imperative necessity for the manufacturing industry." "In an effort to support sustainability and environmental consciousness, Dubai Industrial Park offers world-class infrastructure and allied services, to help them achieve profitable and long-term growth," he noted. "In the GCC region, population, growth and urbanization have caused an alarming increase in the generation of waste. This calls for an urgent need to implement innovative methods to ensure the reduction and recycling of waste," he added. Dulsco, which currently handles all types of wastes - solid, liquid, hazardous and non-hazardous - is already playing a major role in various recycling initiatives of the Dubai Municipality and other communities in the emirate. As part of its mandate to contribute to Dubai’s recycling targets set for 2020, Dulsco is engaged in various programs such as ‘My City My Environment’, which encourages the concept of source segregation of household waste. David Stockton, the managing director of Dulsco, said: "In line with Dubai’s aspiration to emerge as a sustainable city, Dulsco is now gearing up to address challenges and support the government’s proactive initiatives towards achieving the emirate’s recycling and waste reduction goals." "When we were looking for areas to expand, Dubai Industrial Park proved the best option due to its location, facilities and the enthusiasm shared by its management team," stated Stockton. 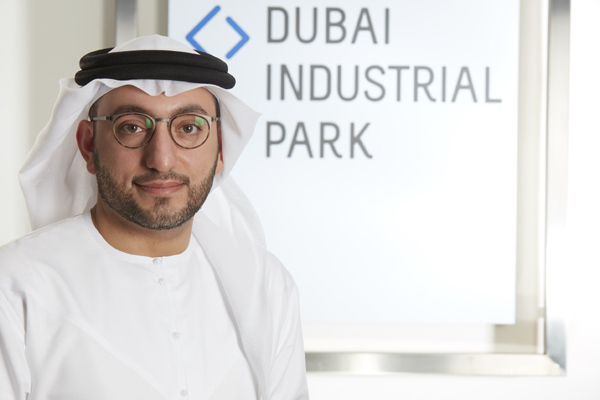 Dulsco, he said, was confident that with the untiring support of Dubai Industrial Park, the new recycling plant will contribute to the overall success of its sustainability strategy. "Combined with other environment initiatives and processing facilities that are also being planned by the company, we are well geared to support Expo 2020 and the UAE’s farsighted green vision," he added. One of the largest industrial hubs in the emirate, Dubai Industrial Park was established with the objective of fast-tracking growth and expansion of the industrial sector in the UAE.